Final preparations are underway for Crosspool’s annual Selborne Road street market on Sunday 29 June. School, Tapton School’s wind band and an Irish dance troupe. Many of our local shops will also open up for the day. Direct Travel is hosting a travel market and family fun day with free face painting and goody bags. Last year, even the deputy prime minister popped by. 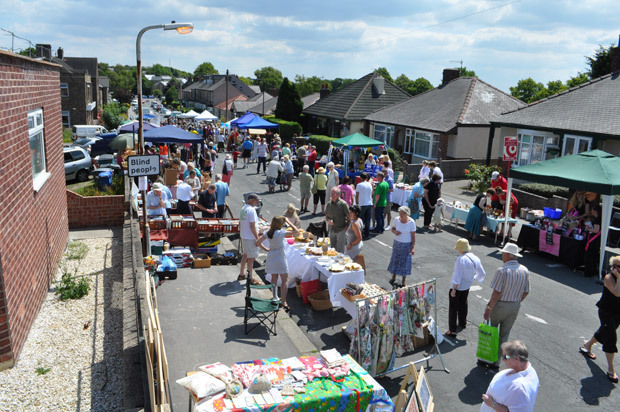 Crosspool Street market is 12-4pm and is part of Crosspool Festival 2014. “Last year, even the deputy prime minister popped by” – but please don’t let that put you off.